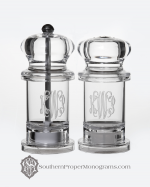 This acrylic monogrammed salt and pepper set is a perfect present for a housewarming, hostess or wedding. 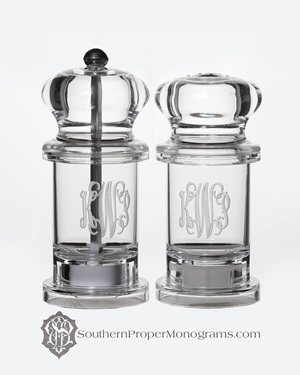 Available in two styles, the salt shaker and pepper mill set pictured is monogrammed and holds iodized salt and peppercorns. The salt and pepper set is also available with both shakers for ground salt and pepper. This product is not dishwasher safe. 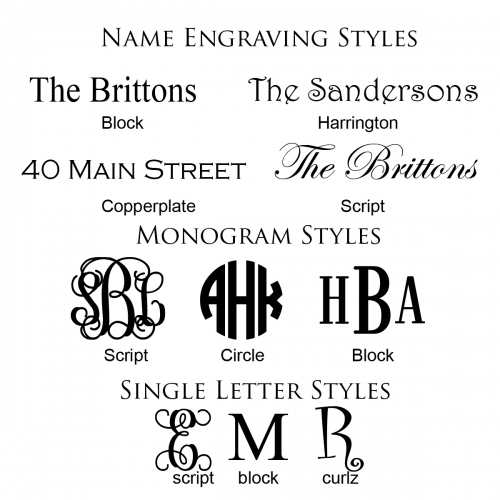 Monogram is included. Measures 4.75 high and 2.25" in diameter.